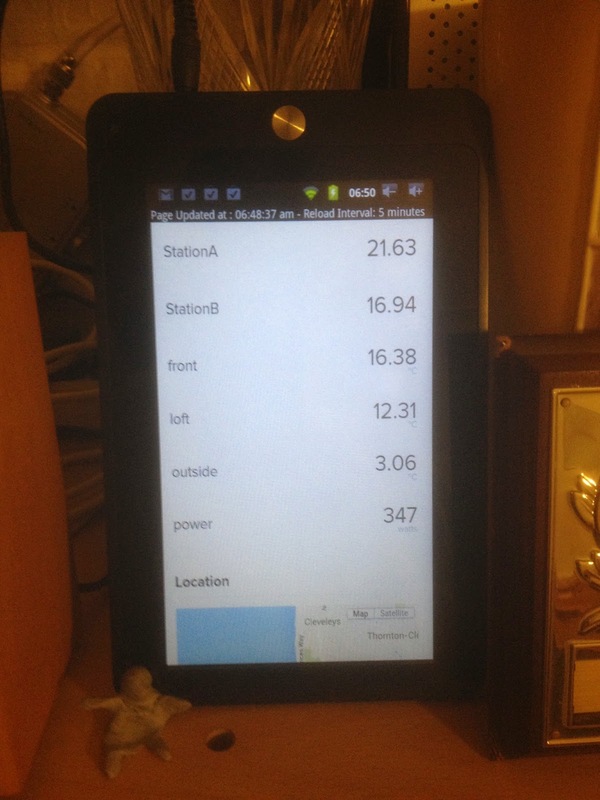 My home temperature monitoring project moved on another step with the addition of this old Android 2.3 tablet used to display the current temperatures around the house. Two downloads from the app store were needed, Stay awake , and Web reloader . One keeps the screen permanently on, and the other one is needed to refresh the page regularly to update the temperatures. This is a later version of the temperature transmitter which is battery powered by 4 rechargeable AA batteries. The circuit board is sitting on top of the battery holder. An overview of the project so far. 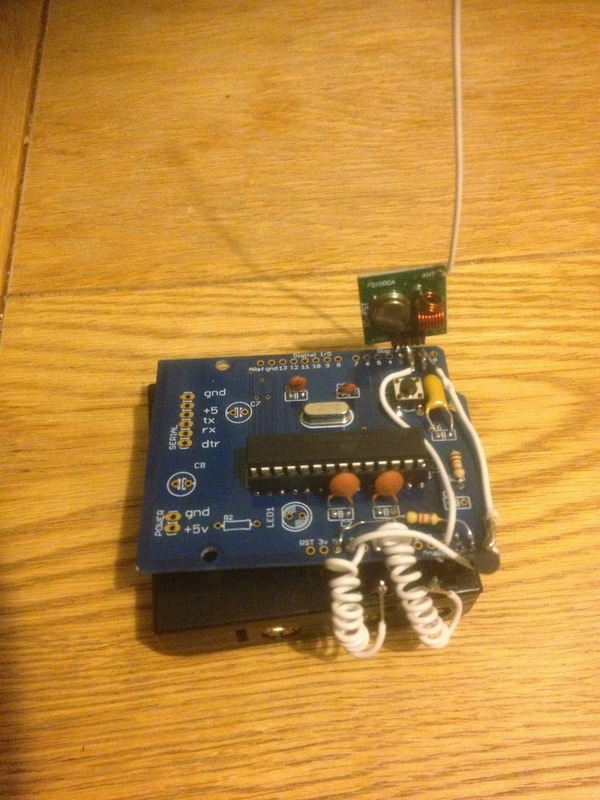 There is one standard arduino uno fitted with an ethernet shield and a 433 receiver, this is the gateway. The Gateway receives the temperatures from the transmitters, and forwards the temperatures to Xively (used to be called cosm, then pachube) . The android tablet is displaying the xively web page. Next up, add a raspberry pi to do data logging and a web server to replace xively. So far, all I have is monitoring, and the next major step forward will be control. The on/off signals produced by the remote control have been decoded, and can be reproduced by the pi, and sent via the 433 transmitter. A basic web page with buttons that mimic the layout of the remote control is used to turn the switch on and off. This will be the subject of another post.